[VIDEO] Kim TaeHee’s Ideal Type is Yoochun? The topic is Kim TaeHee’s ideal type, this cut is mainly about Yoochun. There has been opinion forming amongst netizens that Dong Bang Shin Ki Micky YooChun’s manager have been acting very violently towards fans. And the police is currently looking into it. 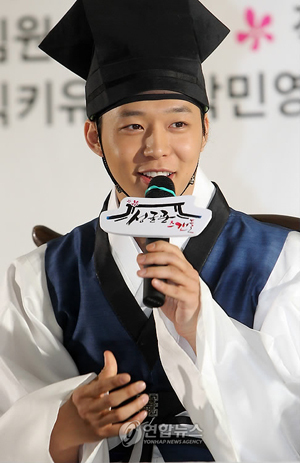 Today, at the “Sungkyunkwan Scandal” poster shoot and press conference, Park Min Young repeatedly exposed funny stories about Micky Yoochun, to such an extent that he tried to take the microphone away. Picture 1: (Laughs) Please don’t say anymore. 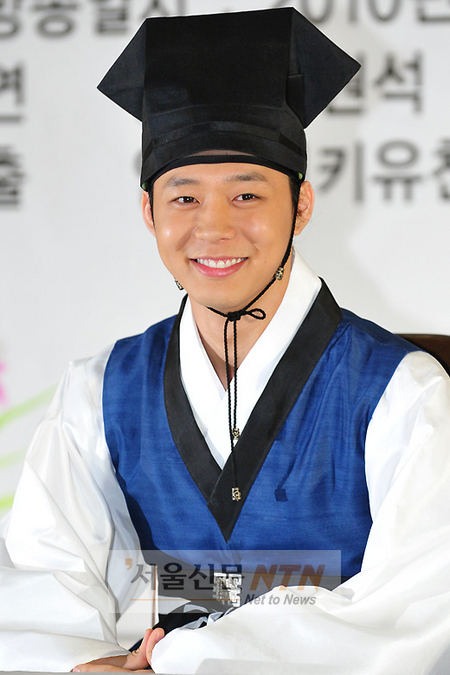 Micky YooChun gives a shy response when asked about his first acting attempt and his bed scene with actress Park MinYeong. 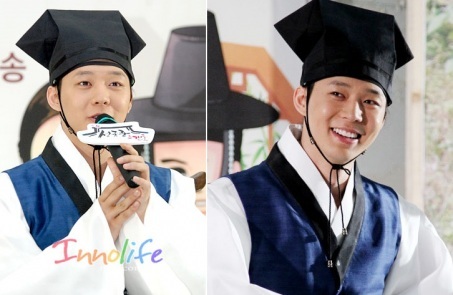 On the afternoon of 15 July, at a studio in Hwaseong, Gyeonggi-do, Korean actors Yu Ah-In, Song Joong Ki, Park Min Young and Yoochun attended the press conference for KBS’ new mini-series [SungKyunKwan Scandal].